Customer benefits underpin all of our decision-making. From product development through manufacturing, sales, service, and support, we constantly seek to provide new value that puts customers first. Today’s socio-economic environment is vastly different from what it used to be and the transformation process continues, driven by increased globalization, growth of emerging economies and a wider embrace of network technologies. Customer business environments and needs are changing, with management focusing on everything from transforming workflows and cutting the total costs of ownership to ensuring compliance with laws and ordinances. That said, it is not always clear what customers want. We seek to stay ahead of customers in uncovering needs that they have yet to notice. We have to look beyond what they tell us to identify what they truly need. To that end, we encourage all employees to engage in decision making and ongoing activities that focus on being useful for customers, and we are building a framework to make the interests of customers a top priority. 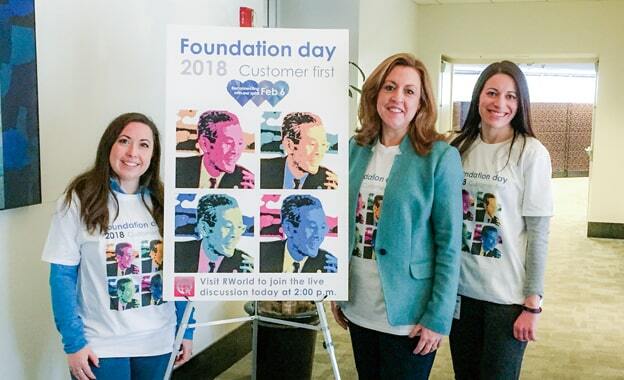 One fruit of that effort is the Customer First Center, which we established in January 2018. The center shares customer feedback with design and manufacturing units, which use this information in initiatives to swiftly enhance products, services, and internal processes. 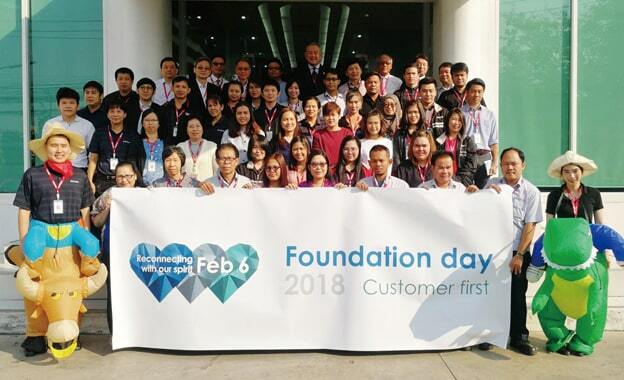 Another outcome was Customer First events on Ricoh’s foundation day in February 2018. The events shared our commitment to customers around the globe. We will continue to meet customer expectations by marshaling our comprehensive worldwide resources to reflect feedback in our management and operations. 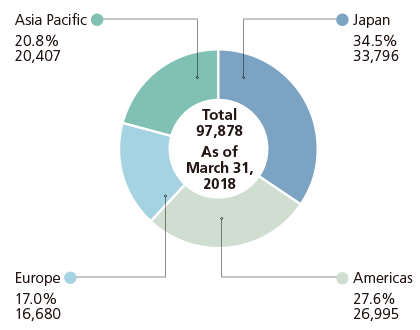 In sales and services, we have built a global network stretching across some 200 countries and regions and maintain a four-point regional headquarters structure—Japan, the Americas, Europe and Asia Pacific. We are pushing ahead with management that integrates everything from development to sales and service and are making frontlines close to customers to strengthen our structure for developing products with them. We have additionally set up a sales headquarters to assist and oversee regional sales units from the best global perspectives, allocating resources to priority growth markets. We undertake globally strategic technical development through R&D hubs in Japan, the United States, China, and India and pursue development of technologies attuned to local market characteristics so we can deliver customer and social solutions. Ricoh supplies products and services to customers through four global production hubs. We are reducing labor requirements for assembly processes and deploying the latest robotics technologies, including those to automate on-site logistics. At the same time, we are endeavoring to enhance manufacturing operations to swiftly deliver highly cost-competitive offerings to our customers. We have built a supply chain that minimizes interruptions to customer operations in the event of disasters or other emergencies. Within the Ricoh Group, we ask suppliers to reinforce business continuity capabilities through redundant production bases and parts procurement channels and larger material and component inventories, and we encourage them to be socially responsible and take a rigorous stance on CSR procurement and issues of child labor and conflict minerals. These efforts underpin our commitment to customer satisfaction through supply chain management implemented from a customer perspective while simultaneously pursuing profit opportunities. The Ricoh Group believes it is important to provide products and services that customers can use with confidence and that deliver a sense of value that exceeds expectations. The RICOH Quality declaration embodies that ideal in stating that we will “consistently delight and inspire our customers,” and we strive to ensure quality, particularly in terms of safety and reliability. Sales companies in each country have opportunities for direct contact with customers. It is these companies which operate and maintain customer relationship management (CRM) databases and track customer equipment information and maintenance histories. Customer contact sites use CRM databases, repeatedly survey and analyze needs, pinpoint issues, and suggest products and solutions based on projected needs. Our support continues after delivery, as well, through the 24-hour @Remote onsite maintenance and remote monitoring system, which executes automatic diagnostics and enables quick servicing for worry-free equipment use with little to no downtime for customers. With @Remote, we can verify the operating status of equipment and provide continuous improvements and fine-tuned suggestions based on captured status data, which contributes to greater management efficiency at customer sites. In addition, we identify ways to make our products better by analyzing customer satisfaction surveys, undertaking improvements to increase user-friendliness and reflecting our findings in manufacturing. 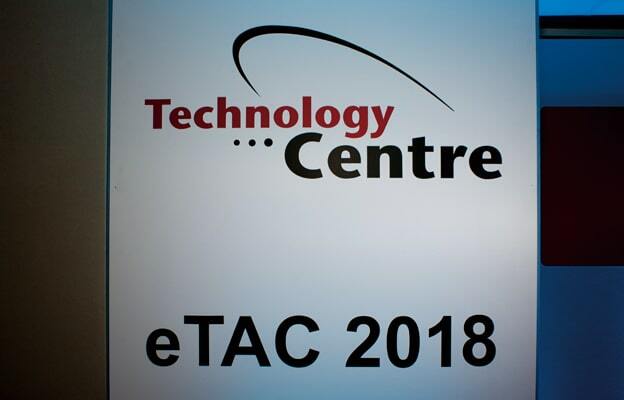 Ricoh held its 12th annual European Technology Advisory Conference (eTAC) in London on June 20 and 21, 2018. The event was again successful in providing insights into the changing needs of customers so the Company can continue progressing with customer-centric innovation. 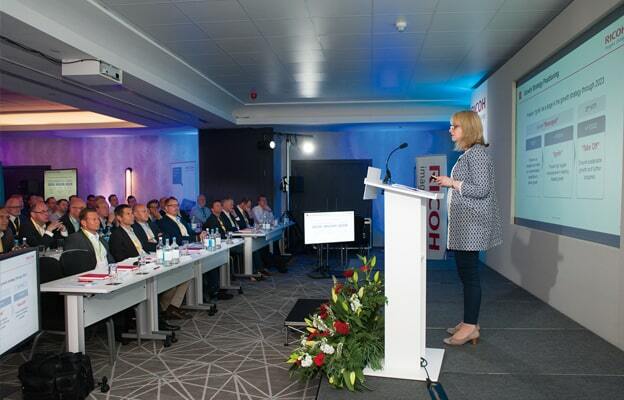 This key forum for sharing technological knowledge brings together our most valued European and Fortune 500 customers to explore and share common business issues and help Ricoh address them effectively in its technological innovation efforts. 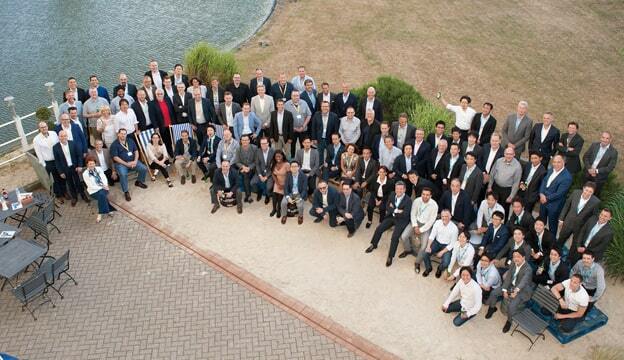 This year’s eTAC attracted 40 representatives from 36 of Ricoh’s Fortune Global 500 Major and International Account customers. Also attending were delegates from Ricoh operating companies around Europe and Ricoh technology specialists from the United States and Japan. On the first day, we updated customers on our direction and strategy, Communication Services, and global mobile printing solution. We also discussed MFP security, enhancements planned for our Streamline NX suite of integrated document management applications and tools, and Ricoh’s Digital Workplace Platforms and Services. 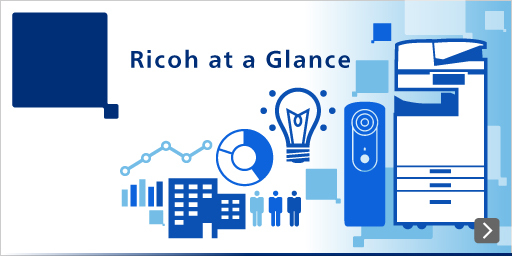 The second day highlighted progress in Ricoh’s approach to innovation, its IT services portfolio, common challenges in ensuring digital workplace security and print safety, and the future needs of cloud-enabled enterprises. Ricoh also shared its insights into designing solutions that fulfill its corporate social responsibilities. Throughout eTAC, customers familiarized themselves with Ricoh’s latest solutions and learned about planned Smart Operation Panel enhancements. They also got first glimpses of prototypes in office AI, edge devices, smart connectivity and collaboration platforms, and audio/video recognition and fatigue detection systems. 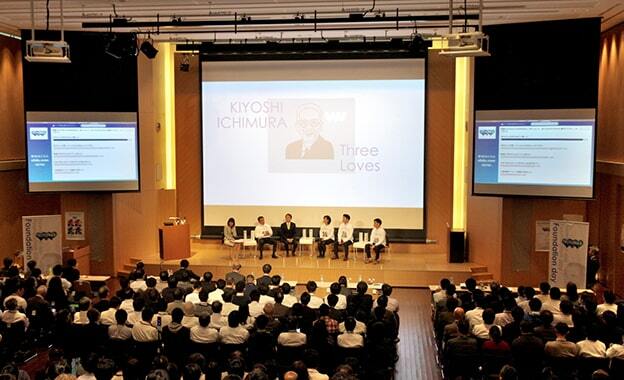 Customer feedback on the event was outstanding, auguring well for Ricoh’s customer-centric commitment. An attendee poll found 88% of respondent were satisfied, with 100% expressing interest in participating in future eTAC events. We formed a project team spanning eight countries, led by Ricoh Europe, to provide optimal solutions for visually impaired users of MFPs. This effort was a great success, and led to significant results. The project originated with a request from France’s Ministry of Finance to Ricoh France (RFR) in May 2015. The ministry wanted a solution that would give visually impaired employees the same opportunities as others to contribute to the workplace. At the time, RFR knew little about the needs of the visually impaired, and sought the assistance of the French Federation of the Blind and Visually Impaired. RFR learned that most visually impaired people do not use Braille but draw heavily on the voice technology of smartphones and tablets. This was an unexpected insight for RFR’s people that contributed significantly to the project’s success. 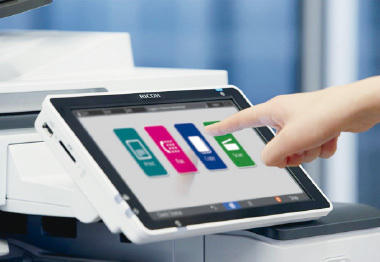 Ricoh’s MFPs currently employ smart operating panels running Android OS. Proprietary applications can be developed for the panels, which can also take advantage of Google TalkBack audio technology with which visually impaired people are familiar. For existing customers that already have panels on their MFPs, RFR sought to provide solutions so they would not have to replace their systems. A project team started up in summer 2015, with prototype development beginning in October that year. In the process, the team collaborated with nonprofit organizations, drawing on feedback from visually impaired people at all design stages to drive improvements. The accessibility application that resulted uses cards and other personal authentication to read user profiles, automatically presenting the right interfaces for each user. TalkBack is for the blind. There is a user interface with a strong contrast for those with weak eyesight, and there is a standard user interface for other people. 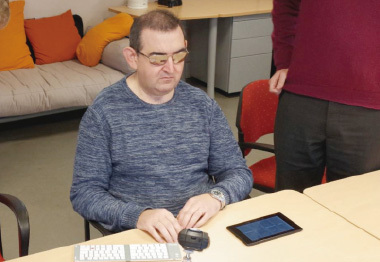 In recognition of the value of this application, in October 2016 a Dutch organization for the visually impaired decided to install Ricoh MFPs incorporating it. Following the official launch in January 2017, MFPs running the application won major French public sector orders and garnered attention around the world. The Ricoh Group believes that this application is an excellent example of ways to offer new value. We were able to reflect diverse user perspectives in a proof-of-concept trial with the cooperation of nonprofit organizations in France, Spain, and the Netherlands. The team sought to create panel design that would become a firm favorite by being user friendly and offering beautiful graphics. A 2017 Good Design Award reflected a development process that incorporated feedback from visually impaired users and a sense of security from the sensory manipulation.